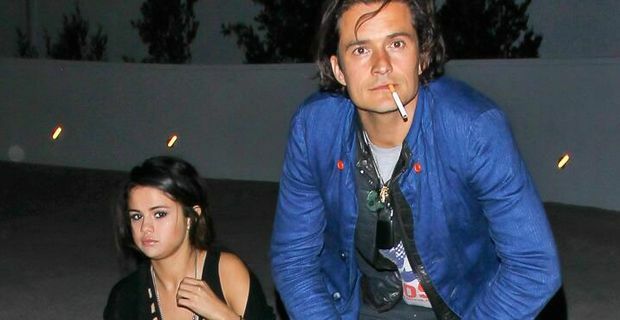 Orlando Bloom has been snapped partying with Selena Gomez and it has sparked a lot of conversation over whether the duo are an item or not. They were spotted on Saturday night attending Chelsea Handler's show Uganda Be Kidding Me in Los Angeles. Straight after the above photo was taken, Bloom and Gomez got up off of the sidewalk and walked off in opposite directions, which has given people more ammunition that they are hiding something. Both sides have remained silent since Saturday with nobody from either camp willing to make a comment. Gomez is currently split from her on-again-off-again love Justin Bieber while Bloom divorced last year from Miranda Kerr after only 3 years of marriage. There were rumours flying about in 2012 that Bieber and Kerr got up close and personal at a Victoria's Secret event so naturally the media are playing Bloom and Gomez's coupling up on Saturday evening as an act of belated revenge on their ex partners.